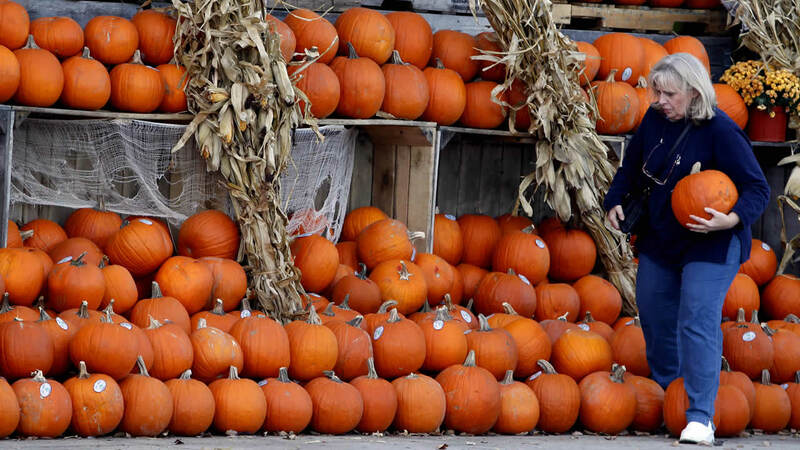 NEOGA, Ill. -- There should be enough pumpkins for Halloween this year, but that might not be the case for the canned pumpkin used in pies come Thanksgiving, according to crop experts in Illinois, the country's top pumpkin-producing state. "I would not wait until Nov. 20," University of Illinois professor Mohammad Babadoost said, referencing the Nov. 26 holiday. "I'd buy it whenever it comes to the store." Large canned-pumpkin manufacturer Libby says yields could be off by as much as a third this year in Illinois, where about 90 percent of the pumpkins grown in the U.S. come from within a 90-mile radius of Peoria. Libby's corporate and brand affairs director Roz O'Hearn said the company, which has had a central Illinois pumpkin-processing plant since 1929, is confident it will have enough pumpkin for autumn holidays. But, she said, "once we ship the remainder of the 2015 harvest, we'll have no more Libby's pumpkin to sell until harvest 2016." Jane Moran, who owns Moran's Orchard in Neoga, said they replanted washed out pumpkin crops and then it rained more so they're buying pumpkins at auction twice a week. "When you deal with Mother Nature, you just have to take it and go on," Moran said. Earlier this year, Illinois Gov. Bruce Rauner signed legislation making pumpkin pie the official state pie of Illinois.